You are here: Home / Home Wellness / Saunas / How Many Calories Do You Burn In A Sauna? 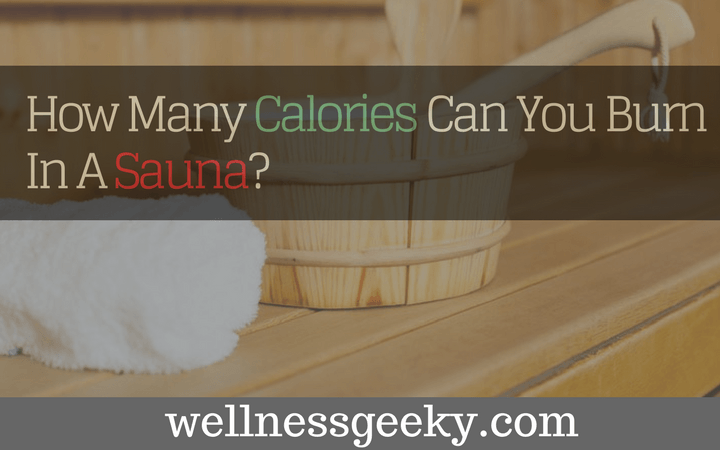 Want to know calories burned in a sauna? For example, a healthy adult male of 185 pounds can burn 42 calories in 30 minutes of sitting. To find the exact number that this individual burns in a sauna, you can multiply those calories by 1.5 and 2 in order to get ballpark estimate. In this case, the individual would burn about 63 to 84 calories. Before we discuss the numerous benefits of sauna, it is imperative to first understand what it means. In a nutshell, a sauna is typically a room that is heated to between 70 degree Celsius to 100 degree Celsius. A sauna is well-capable of raising the skin temperature to roughly 40 degree Celsius. Referred to as a fountain of youth in Finnish writings, there are millions all over the world who swear by the benefits of sauna; the mere mention of sauna brings relaxation. Does sauna help with weight loss? Do you burn calories in the sauna? Of course you do, it is everyone´s dream to shed the extra pounds without exercising. So, the question arises—is it possible to burn calories in the sauna? Well, it is possible to burn calories in the home sauna. You sweat when you sit in a sauna. Therefore, when your body works hard to produce sweat, you do end up burning more calories. 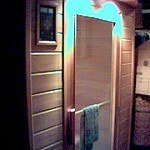 Many professional athletes even visit the sauna room to help make weight before competitions. You will definitely see a noticeable difference on the weighing scale before and after sitting in a sauna. However, we hate to be the bearer of bad news, but the loss of weight is almost entirely only water weight. Although the results may seem to be significant in the short-term, it doesn’t help your long-term weight loss plan as you immediately regain the lost pounds as soon as you eat or drink something. However, you shouldn´t be clouded by the horrendous feeling of doom and gloom just yet. That´s because your body does burn calories in a sauna. When you are in a sauna, your body works to keep itself cool. For instance, if you burn 20 calories every 15 minutes while quietly watching the TV, you will be able to burn about 1.5 times more, during the same amount of time spent in a sauna. What are the different types of saunas? One of the most common types of sauna is undoubtedly the wood-burning sauna. As its name implies, wood is used to heat the sauna room and the sauna rocks. The wood-burning sauna is generally low in humidity and high in temperature. There are saunas that are electrically heated as well. Electrically heated saunas are also low in humidity and high in temperature. So, how does an electrically heated sauna room work? Well, an electrical heater is attached to the floor to heat the room. Far-infrared saunas largely differ to electrically-heated and wood-burning saunas. In an infrared room, special lamps that emit light waves are used. And, these light waves are only directed to heat a person´s body, not the entire room. Compared to other saunas, the temperatures in an infrared room are lower. However, that doesn´t stop the person from sweating in a similar way. On an average, infrared saunas are usually about 60 degree Celsius. Full spectrum infrared heat present great benefits of the sun with no negative influence of of solar heat. Steam sauna rooms are arguably the most common saunas in the world. A steam room involves high humidity and moist heat. What are the possible health benefits of a sauna? Using the sauna can help improve and increase blood circulation, which, may, in turn, help improve joint movement, reduce the soreness in muscles, and ease the pain caused by the medical condition, arthritis. As we stated earlier, the use of sauna can improve circulation. An improvement in blood circulation can promote relaxation. 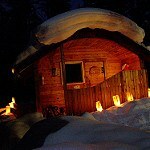 Therefore, if you´re stressed, you should pay a visit to the sauna room. We can bet our bottom dollar that you will come away from your sauna session feeling a lot better about yourself. A sauna is typically an enclosed room and when you are in it, you are provided with an opportunity to relax and let go of hectic, everyday demands that can play an atrocious role in leading to anxiety or a sense of being overwhelmed. Many reliable reports state that the regular use of sauna can help reduce the risk of cardiovascular diseases. The use of sauna can help lower blood pressure and enhance heart function. A dry sauna dries the skin during use. Therefore, people who suffer from psoriasis can greatly benefit by using a sauna. However, those with atopic dermatitis may find that it worsens their symptoms. People suffering from asthma can also benefit from using the sauna. A sauna can help loosen phlegm, open airways, and reduce stress. It is ill-advised for you to visit the sauna after consuming alcohol. Alcohol increases the risk of hypotension, arrhythmia, dehydration, and sudden death. It is suggested for you to not spend more than 20 minutes at a time in a sauna. If you are using the sauna for the first time, you should limit your time spent in a sauna to a maximum of 6 to 9 minutes. You can increase sauna time to about 20 minutes as you start getting used to the heat. No matter what type of sauna you use, it is essential for you to replace the fluids lost from sweating. Hence, we would recommend you to drink about three to five glasses of water after using a sauna. You shouldn´t visit the sauna when you are sick. You should wait until you recover before you use it. Pregnant women, who suffer from certain medical conditions such as low blood pressure, should also consult with a doctor before visiting the sauna room.